* AI can Learn how to play Tic Tac Toe (Noughts and Crosses). * Create AI creatures, and let them play Tic Tac Toe. 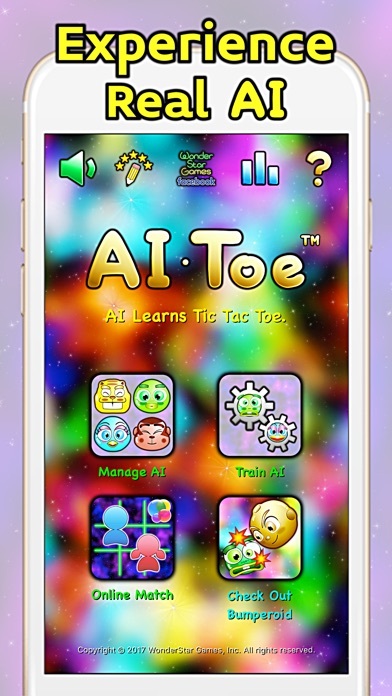 * AI learns Tic Tac Toe automatically while playing. * Compete your AI against other AI creatures online. * Adopt your AI Today! Artificial Intelligence (AI) can Learn Tic Tac Toe! - 2 AI creatures can play each other, and learn automatically. - Human can play with AI for fun & for advanced training. - AI creatures also learn while competing online with other AI. 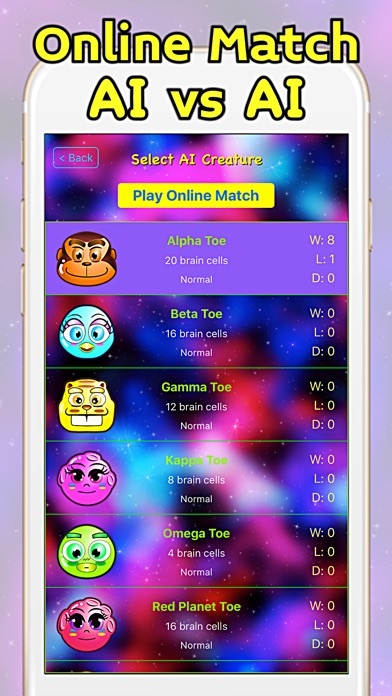 Create cute AI creatures with Brain Cells! - AI creatures have Brain Cells connected with random values. 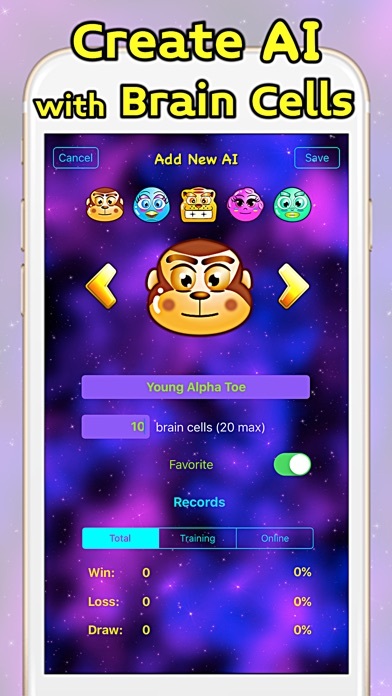 - You can create AI creatures with specific number of Brain Cells. - Some can learn better than others with random variables. Train AI creatures playing Tic Tac Toe! - AI learns automatically while they are playing Tic Tac Toe. - With 'Very Fast' mode, it takes about 2 seconds per game. 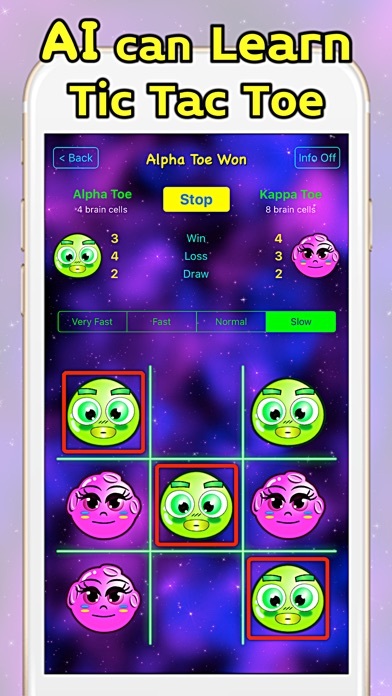 - On average, play 100 games per brain cell to learn. - More brain cells will need more games to learn. 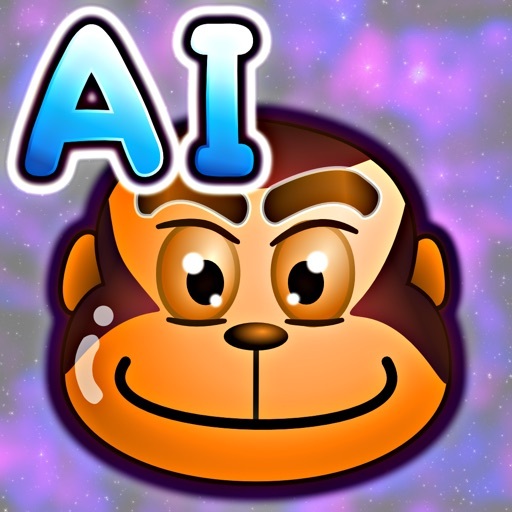 Play your AI creature against other AI creatures in the world! - With Game Center, it finds matches automatically. - AI creatures learn while competing online games. - Check your overall game points in Game Center leaderboard!